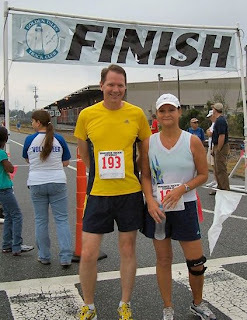 Debbie Yawn & Don Varnadore competed in the 5K Disco Race & Hustle at the Brunswick Rockin' Stewbilee on October 18th. Don's time was a 25:50. Debbie finished in 28:42 winning 2nd in her age group. Tiffany Cochran qualifies for Boston!